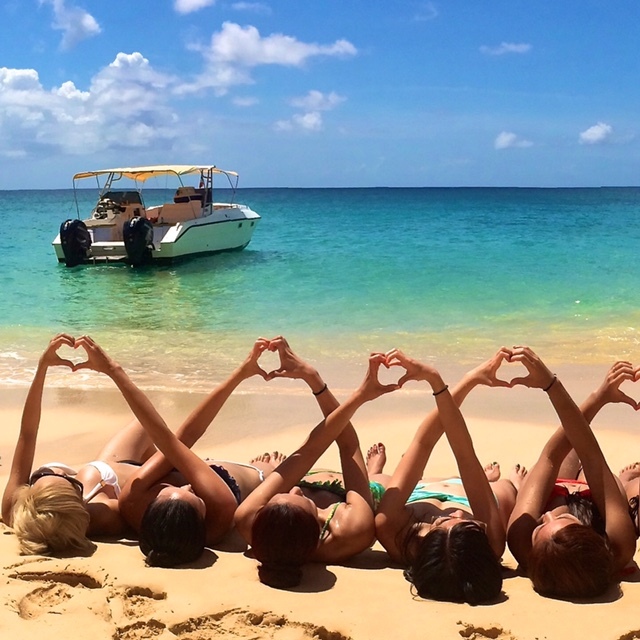 CaptainJo Boat Charter is a boat charter company based on the Island of St Martin (French side). Our concept is not based on a boat but more on the experience, regardless to your age. Our excusions are private, more personable, different from most of the tours you will find on the island. We know the Romantic places for lovers, the treasure islands for the kids and a lot of great spots for the whole family. We love what we do, and it make the all difference. 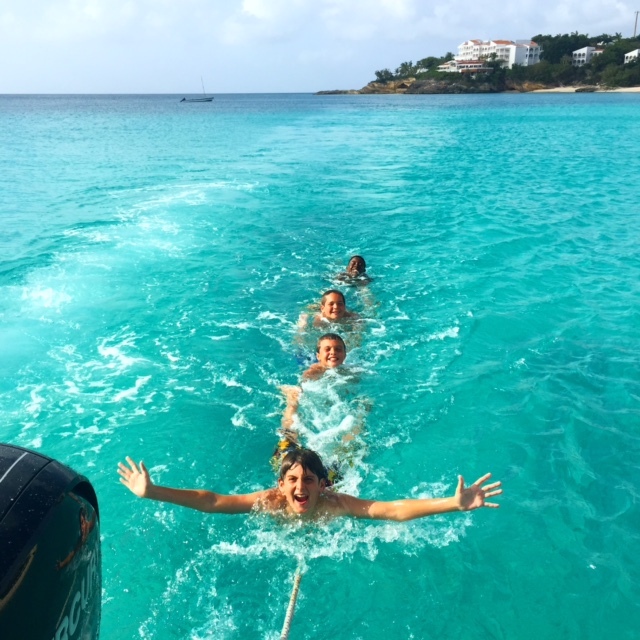 My family charted a half day trip with Captain Jo last week and had such a great time at Tintamare and pinel, we booked him again the following day for a full day in Anguilla. Jo was great with the family, my girls are 4 and 12 and both said it was the “best day of their vacation”. We never felt rushed in any of the spots we stopped, the water at times was a bit rough but he took his time to make the girls as comfortable as possible. Jo even set up a little “treasure hunt” for my little one with a box of jewels and gold coins, totally awesome for a kid in the Caribbean on a private island. 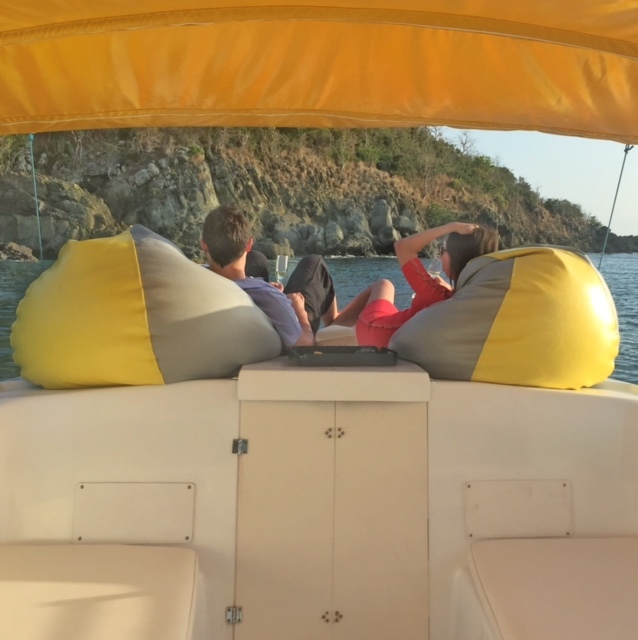 Nice clean, safe boat, with comfortable bean bag chairs for lounging, great snorkel spots, turtles, Rays, starfish, etc. I highly recommend this for any couples, groups, or families. Captain Jo is the best. He gave us several options and personal attention. My family wanted to go snorkeling and I was very nervous. Captain Jo was very patient and showed me step by step what to do. He went the extra mile and stayed in the water with me until I felt comfortable. Seeing the sea turtles was amazing!! Captain Jo took us to the most beautiful beaches I have ever seen. Captain Jo had plenty of drinks and made sure we had everything we needed. The snorkeling gear was very clean!We are already making plans to come back!! We had a 1 c’clock time with captain Jo – we was right on time! We had had a couple of email discussing my wife apprehension concerning snorkeling – he did a great job of making sure she was comfortable and she got in the water asap! Before we took off captain Jo really took the time to make sure he knew what we wanted to do with our time on his boat! He listened and we had the perfect afternoon! 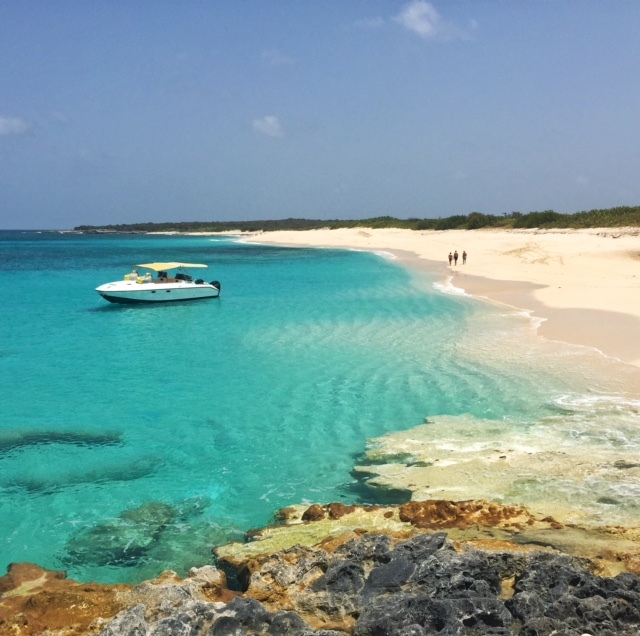 We went to Tintamarre island and snorkeled with the turtles – which was exactly want my wife wanted to do! We then headed over towards Grand Case and snorkeled with all the fish! We then took a slow ride along the shore of Grand Case – what a great way to see Grand Case! We then headed back to the marina – the perfect day! My wife and I had done a lot of traveling and we will say this – the most important thing for Captain Jo is to make to sure this is the best part of your trip and to make sure you learn and understand this wonderful island. He does both in spades!! Spend the money and time and treat yourself to a great experience!! Thank you Captain Jo!! Captain Jo is fantastic. We absolutely loved our time with him – probably the highlight of our entire cruise. Spent the day snorkeling in various spots, with a fantastic lunch on Pinel Island. Well-equipped boat with an ample amount of covering (the entire expanse of the seating area) with plenty of room for our family of 7. Beverages and snorkel gear provided onboard, and he was wonderful and patient with our three young children (ages 10, 8, and 5) and 71 year old mom (whose birthday it was that day – Aug 4th!) Highly recommended! Islander, born and raise on SXM, the Caribbean don’t have anymore secrets for him. 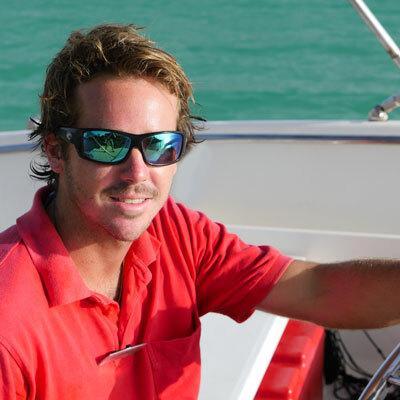 His passion for the sea naturally brought him on a boat. After getting a Yacht Master at the age of 20 and severals years working in hight standard yachting companies, he is now based on is home island. 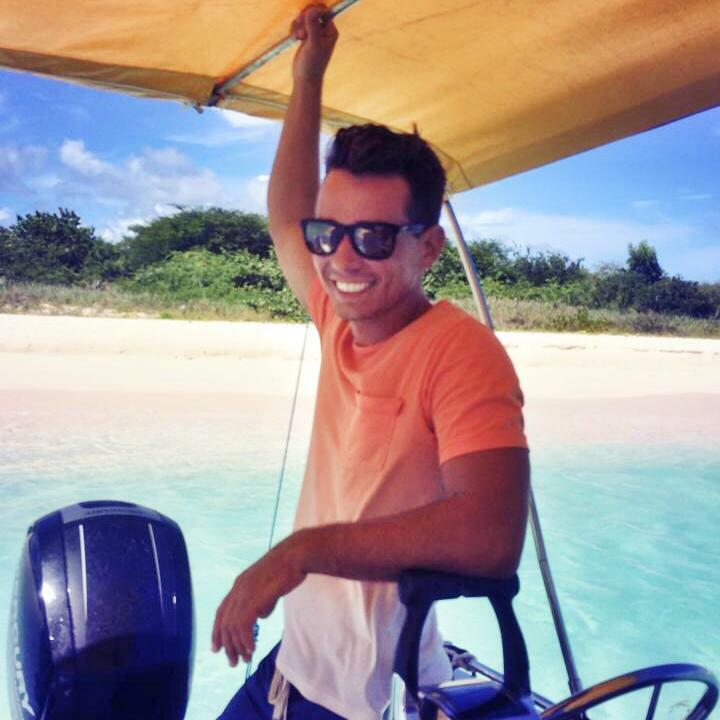 Patient, very personable and fun, he will simply share his love of the islands with you. Born and raise in the Caribbean, Andrew almost grew up on a Surfboard. Really good swimmer, the water is his natural element. Funny and friendly, he’s a true island boy (you can asks him to speak creole). Follow him in the water and he will show you all the sea life you probably won’t see. If you are interested in our excursions, send us an inquiry and we will get back to you as soon as we can!